KEN YUSZKUS/Staff photo. 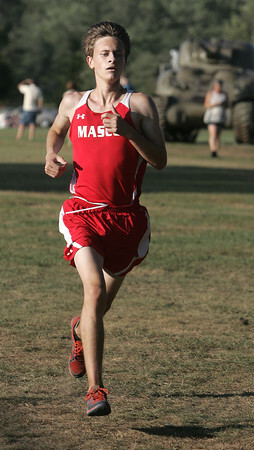 Masco's Danny Cosgrove won the boys race during the Masconomet at Hamilton-Wenham boys/girls cross country races held at Patton Park in Hamilton. 9/9/15.